From these sessions we have developed program format elements (we call them "formatics") that we use in writing copy and encourage our clients to use if they want to write their own copy. you've spent good advertising money urging people to call you so make sure your on-hold programming is the very best it can be... make sure you have a genuine Hold On AMERICA system working for you. 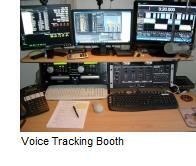 As you can hear Hold On AMERICA Ultra Sonic Sound productions are world-class quality. We never cut corners when it comes to writing and producing. Our voices are all seasoned announcers. Our Spanish language programs are voiced by world renowned voice-over artist Simone Fojgiel and we even offer musical jingles to spice up your on-hold image. 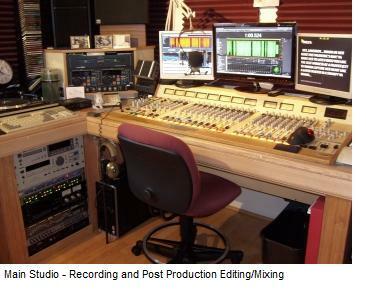 We're one of the few on-hold production companies with our own broadcast rated studio facilities. Most other producers "farm out" their productions to production "houses" and, in doing so, completely lose control of the quality of their own productions. Plus, we NEVER do "cookie cutter" production as most other on-hold production companies do (that's where they use the same copy over and over just changing the vital details pertinent to each client). At Hold On AMERICA we promise you this:Your copy will be written exclusively for YOUR BUSINESS ONLY from information that you provide and we will NEVER use YOUR copy for other clients or your COMPETITORS. Period. After your advertising-on-hold audio file has been approved and undergone a final mix with the music of your choice (CLICK HERE FOR SAMPLES), it is processed with our Ultrasonic Sound algorithm to exactly match its frequency spectrum to that of the digital/analog hybrid US telephone network. The network is a real mess of rusty copper wire, bad solder joints, low sample-rate digital cell phone signals, really old analog amplifiers, fiber optic cable, coax and lots of other mismatched stuff. It's why, many times, when you are put on hold you hear the program faintly in the background or not at all. No other on-hold program producer has anything even remotely close to our USS processing and could be missing 50% or more of their potential listeners...especially cell phone users. Our USS processing means that EVERY caller will hear your on-hold presentation clearly and distinctly 99.7% of the time. 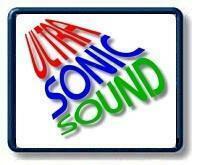 ULTRA SONIC SOUND PROCESSING... just one more reason why Hold On AMERICA is the NUMBER ONE choice in the USA.